The AvantLink Facebook page is the best place to go for new program launch announcements. Each new merchant that goes live on the network enjoys some time in the social spotlight, with an update focused on their program and a quick description of the opportunity at hand. Lately, the Facebook page has been full of program launches that offer a particularly incredible opportunity for affiliates. Programs that capitalize on a product that is needed by everyone you know, carry very high AOVs (generally between $700-$1,200) and commissions, and is one of the hottest product categories on the internet right now. What is this perfect sounding affiliate opportunity? In a word, mattresses. Join the Darn Tough affiliate program. Recovr is the world’s only performance, hybrid mattress. Recovr is the perfect fusion of premium pocket springs for support, and high-density foam for pressure relief. Recovr Mattresses are Eco-Friendly, Ship for Free, Made with High-Density Foam right in the USA. Recovr is backed by a 100-Night trial period to make sure the mattress is perfect for your sleep routine. Join the Recovr mattress affiliate program. You’re right Chad, they are all the rage. 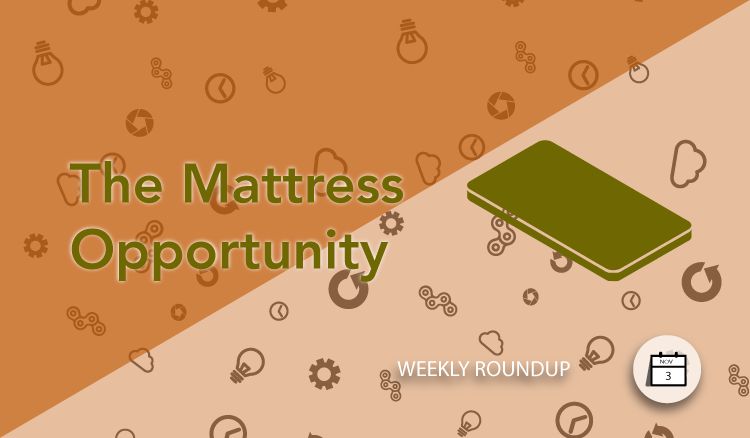 I heard this report on NPR the other day about affiliate marketing for mattresses. The long and short of the report was: be sure to disclose your affiliate relationship when reviewing products. It’s the law, true, but more than that when you are up front with your readers they appreciate your honesty. I heard that too- the story about Casper suing their former review partner, right? Transparency is huge- not just for FTC compliance, but, like you said, so you don’t end up manipulating your readers. They’ll figure it out if you’re not upfront with them.